No Function aka Niklas Hagström will perform live with his Radiolar concept, this Thursday. 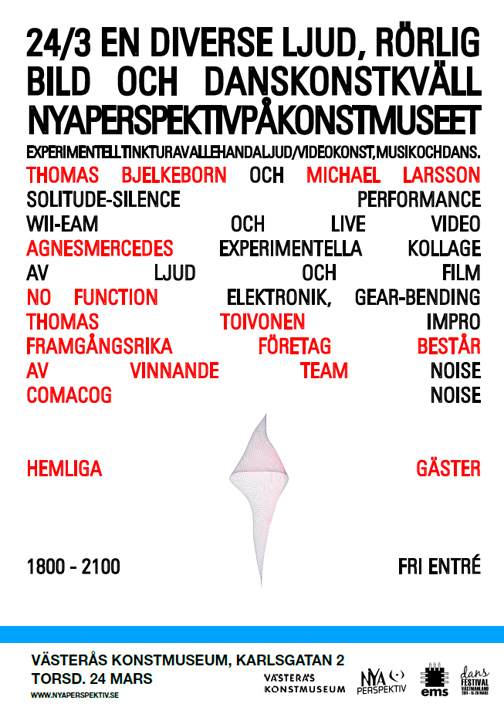 An evening of experimental music and performance at the art museum in Västerås featuring several acts, arranged by Nya Perspektiv. Make sure to be there early, No Function open up at 18:00.